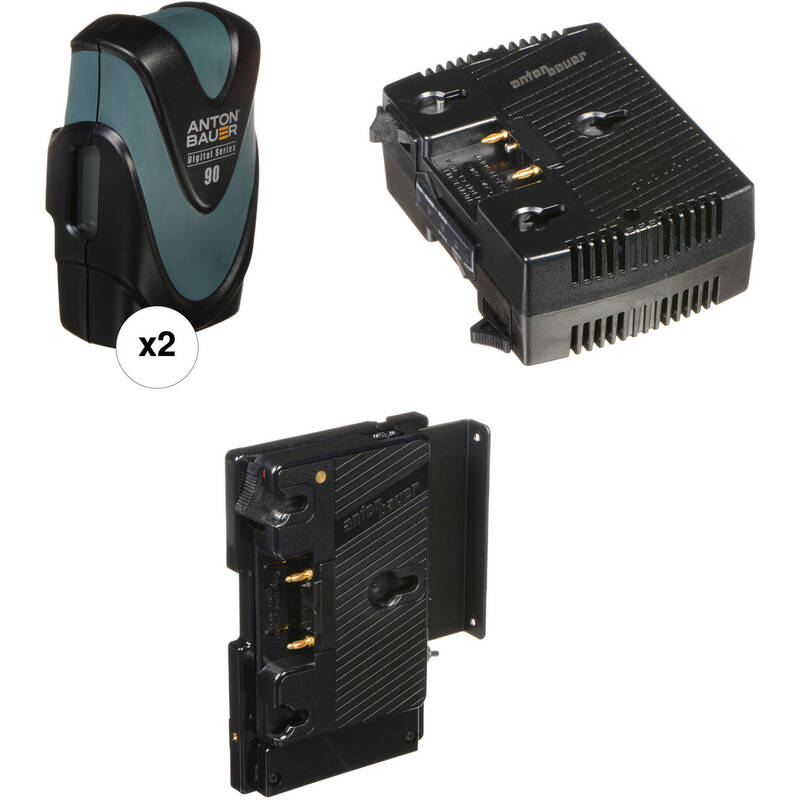 Ensure long-lasting power for your camera with this Digital 90 2-Battery Kit with TWIN Charger & V-Mount Adapter kit from B&H Photo. This kit includes two Gold mount Digital 90 batteries and one TWIN simultaneous charger. The included V-mount to Gold mount adapter is compatible with Sony XDCAM-SD, XDCAM-HD, DSR Series DVCAM, HVR-S270U, and SRW-9000 camcorders. The Anton Bauer V-Mount to Gold Mount Adapter was designed to let you use Gold mount batteries with the Sony XDCAM-SD, XDCAM-HD, DSR Series DVCAM, HVR-S270U, and SRW-9000 camcorders. It features a V-mount on one side, and a Gold mount on the other. Box Dimensions (LxWxH) 8.65 x 6.25 x 3.05"